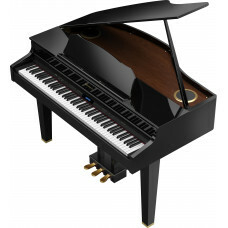 The piano is said to be the king of all instruments. 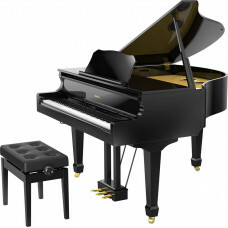 But all pianos are not created the same, and there is a huge range of quality, tone, and touch. 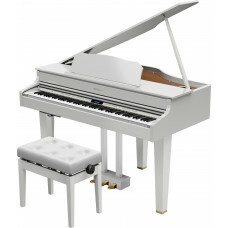 We have selected instruments that we feel out perform others in their price range. 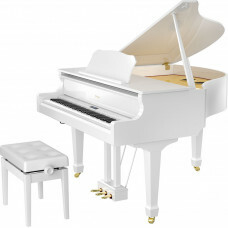 Our used pianos come with a warranty. 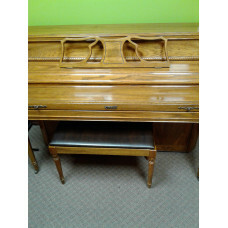 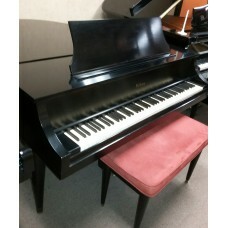 Satin Ebony Baby Grand piano With round legs and a unique cabinet desi..
A New Grand at a Used Price!Pearl River GP-170 Five foot seven inch grand p..
Roland Tone and Touch Exquisite Designer Cabinet Fantastic Speake..
Roland GP-609 is in StockThe New Roland GP-609 is the flagship of the Rolan..
Roland GP-609 High Polished WhiteThe New Roland GP-609 is the flagship of t..